York University Libraries subscribe to hundreds of databases that include millions of journal articles, newspaper articles, and eBooks. 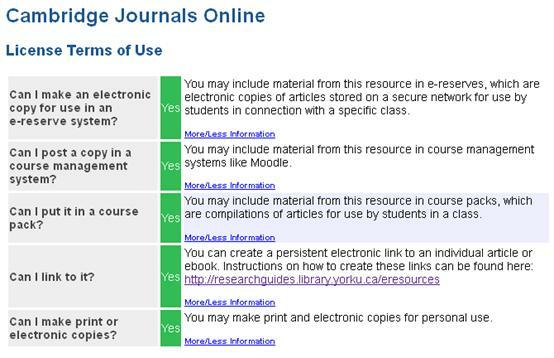 For each of these databases, York signs a license that grants certain permissions regarding how we can use the materials in these databases for specific purposes. 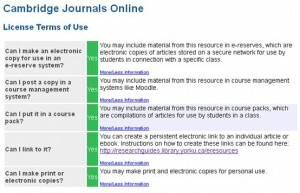 Most databases allow you to link to material, but some also allow you to include material in course packs and post materials in York’s Learning Management System, such as Moodle.